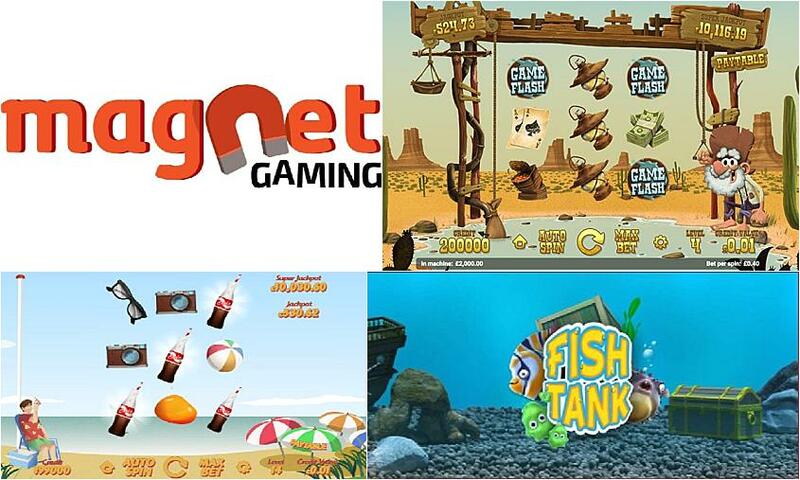 Established in 2014, Magnet Gaming is a software development company from Denmark. This new company has impressed many online casinos with their collection of 12 solid casino games, and Magnet Gaming seems to be developing a stellar reputation in the gaming industry. Magnet Gaming is a subsidiary company of Danish games providers CEGO ApS, which means the developer is licensed and regulated under DGA, the official gambling authority of Denmark. Click here to read more. The slot machines from this impressive developer are household names for many online casino gamers, with their top-quality games collection consisting of the following titles: Deep Blue, Candy Kingdom, Auction Day, Sunny Farm, Diamond Express, Golden Pyramid, Space Gems, The Vikings, Pie Rats, Bank Walt, Side Show, and Safari. These games contain a number of three- and five-reel options while combining classic gaming formulations with innovative new technology to create a unique collection of slot machines. Deep Blue is one of their most-loved slot games, featuring a cute underwater theme; Bank Walt takes players into the Roaring Twenties and features 3D graphics; and Diamond Express is based on the Wild West, where players can join the Gold Rush seek their fortune. Whatever theme players enjoy, they will find a perfect slot from this software developer. All of these games from Magnet Gaming feature the highest-quality graphics and offer many exciting extras, such as sticky wilds, masses of free spins, innovative bonus games, life-changing progressive jackpots and much more. The 12 games created by Magnet Gaming all use the most up-to-date HTML5 code, which means they are compatible with all mobile devices and contain the highest-quality graphics and sound effects. They also all adhere to all the latest usability standards and requirements. The latest independent figures have shown that games by this provider have a high retention rate, so players are coming back to enjoy the games, proving that customer satisfaction is an important part of Magnet Gaming’s approach. Who Does Magnet Gaming Work With? Danish players are currently enjoying playing the 12 games from Magnet Gaming, as the company is owned by Danish operator CEGO ApS, but the company has recently forged a new deal with Microgaming to enable large-scale international distribution. This means all the slot machines from Magnet Gaming will become available soon for players at online casinos licensed all over the world through Microgaming’s Quickfire platform. One of the main reasons that this company has developed such a strong reputation so quickly is that it is deeply committed to innovation and re-invention. They consistently aim to develop games that offer players a fun experience regardless of outcome. In fact, Magnet Gaming has a range of different game play options to ensure players can play for real money or fun money, so everyone can enjoy the themes whether playing seriously or casually. The games are also able to be adopted for individual markets. This means they can work with features such as shared jackpot prizes, which helps to create an even more exciting gaming environment for players.